*We would like to thank the Marlins organization for inviting us to participate in the 2019 Miami Marlins FanFest weekend celebration. Fall 2019 Season registration will open in late Spring. CLICK HERE, to view the Complete Winter-Spring 2019 season schedule. Welcome to The Miracle League of Miami Dade! The Miracle League program provides an opportunity for children with physical and/or developmental challenges to play baseball and be part of a team. The Miracle League makes dreams come true. 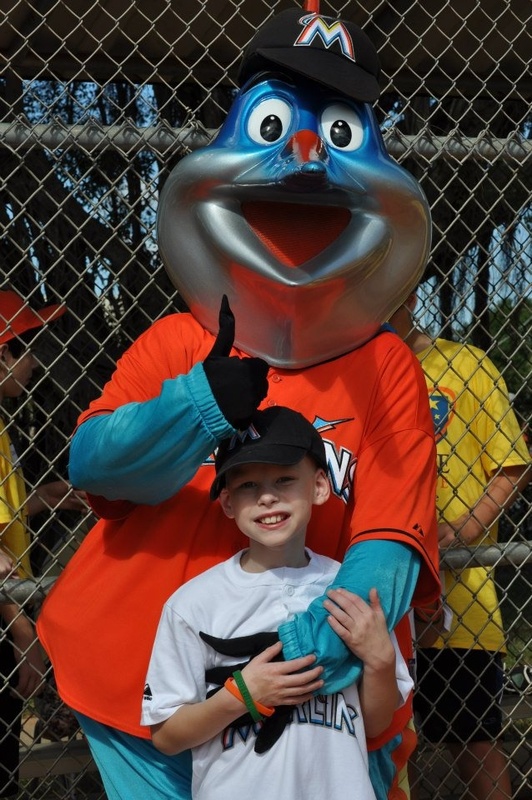 To learn more about The Miracle League of Miami Dade click here. Our Spring 2018 Season registration is now closed. Fall Season registration will open July 1st. Visit our calendar for other important dates and events. The Miracle League of Miami Dade would like to thank everyone who came out to our ribbon cutting and inaugural game at our new Home Field at Tamiami Park on Sunday. Over 200 guests and supporters experienced the spirit of the Miracle League. We’ll see you in September when we start our Fall Season of play.